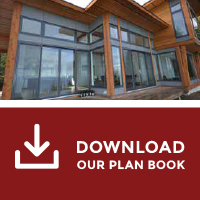 Planning to build your own house in BC? If you, as a Home Owner, are considering registering as the “builder” for your new home construction, it is important to investigate the new building regulations for British Columbia. Anyone who wants to build a new home as an Home Owner Builder must apply for an Owner Builder Authorization. As of July 4th, 2016 – home owners are now required to take a competency test and pass the examination. This will evaluate their knowledge and understanding of home construction (construction management, site supervision, permits, building envelope, roofing, etc.) and statutory obligations (occupancy, liabilities, warranties, etc). How can Tamlin help BC Owner-Builders? Understanding the new regulations can be overwhelming if you are new to the industry. Tamlin can help explain your options whether you are building in the city or a remote location, where it may be more difficult to find licensed builders. Tamlin is a registered HPO Builder and can work as your builder. Our staff are continually upgrading themselves and completing all necessary maintenance courses with the HPO office. If you are building in a remote area, we also have a network of builder connections to point you in the right direction, depending on your location, construction timeline, and complexity of your project.